Over the Easter weekend we'll be holding our 'Meet the Artists' for the second year running. The event will run from Good Friday to Easter Monday with demos, workshops and activities across all 4 days. 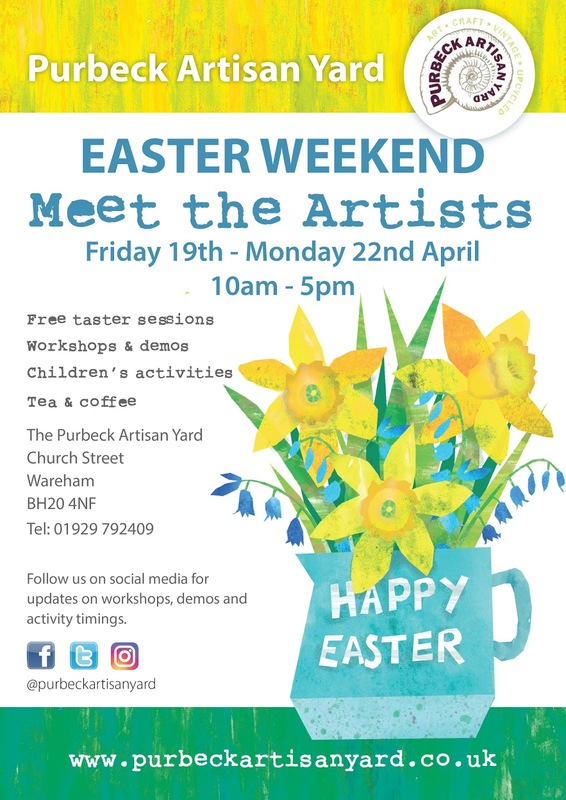 Make sure you check out our Facebook page for more details of the various workshops and opportunities to meet some of our incredible resident artists and makers. 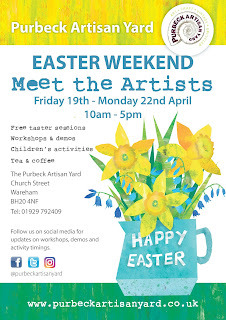 The Purbeck Artisan Yard in Wareham Town Centre - where wonderful local Artists, Upcyclers, Creators and Makers sell their pieces all year round. Please note during January and February we are closed Mondays and Tuesdays.